InfoComm International’s Digital Signage Summit will make its first North American appearance at InfoComm 2016 on June 7, 2016, at the Las Vegas Convention Center. Presented by Invidis Consulting and Integrated Systems Events, the daylong summit will give attendees an opportunity to learn about digital signage trends and use cases from industry experts. The Digital Signage Summit was launched by Invidis Consulting 10 years ago in Munich and became a joint venture with Integrated Systems Events in 2015. The summit travels to Amsterdam, Munich, Dubai, and Moscow and now Las Vegas and New York City in 2016. Digital signage is a complex topic for many pro-AV systems integrators and end users. Many gaps have to be covered to fully integrate digital touch points into existing communication, information or retail concepts. The Digital Signage Summit will provide InfoComm attendees with in-depth insight into the market, focusing on popular digital signage solutions. The summit's presentations, roundtables and panel discussions will cover the importance of understanding the customers' goals for investing in digital signage, how to turn a retail space into a complete brand experience and how integrators can create recurring revenue. In addition, the program will take explore stunning and effective digital signage applications including AT&T's Chicago store, Samsung 837 in New York City and the Cinema Lobby Experience at the Regal L.A. LIVE Theater. 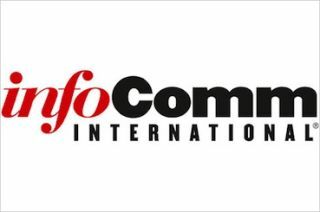 "We're excited about this new partnership with InfoComm because it allows us to bring our industry-leading conference beyond EMEA," said Florian Rotberg, managing director, Invidis Consulting. "The Digital Signage Summit at InfoComm 2016 will be specifically tailored towards the needs and interests of AV professionals and end users who want to take a closer look at digital signage." "InfoComm is thrilled to welcome the Digital Signage Summit to the show to enrich our educational program," said Jason McGraw, CTS, CAE, senior vice president of Expositions, InfoComm International. "With this partnership, InfoComm attendees can spend a day learning about digital signage solutions from an impressive lineup of experts and then visit the show floor to see the latest products and services from the leading brands in the industry. If you're in the market for digital signage solutions, the Digital Signage Summit at InfoComm 2016 is the 'must attend' event for the year."